Sluglines is located near the bus shelter. The traffic is eased by the VDOT reconstruction of lanes at the intersection between Route 630 (Courthouse Road) and I-95 Interchange. 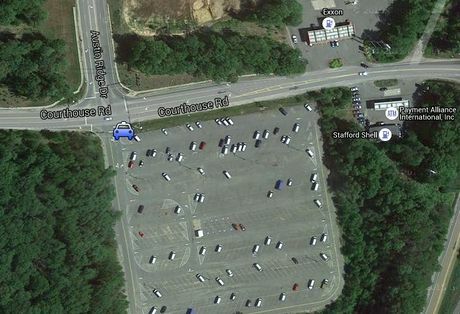 The 539 reduced space parking facility is located off Route 630 just west of I-95.